Laid down, 18 December 1967, at Marinette Marine Corp., Marinette, WI. 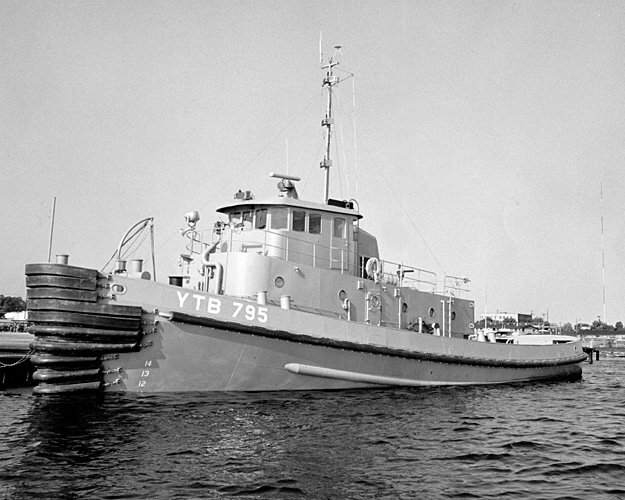 69k Ketchikan (YTB-795) moored pierside, date and location unknown. 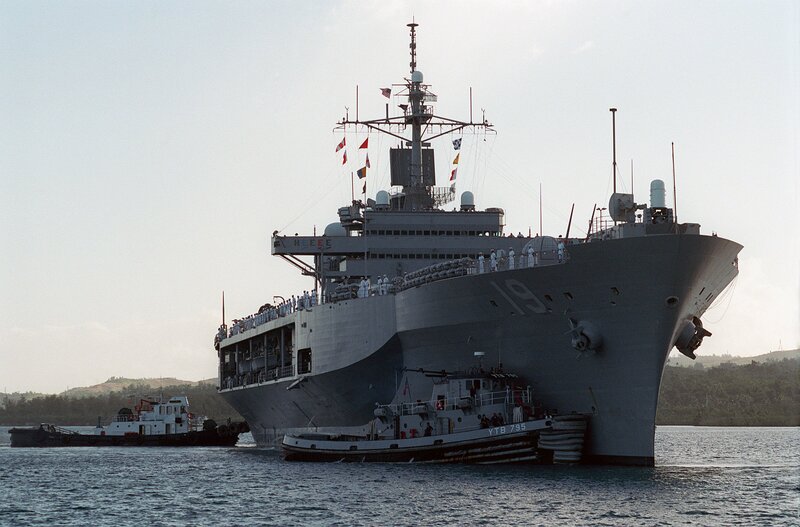 1408k A starboard bow view of USS Blue Ridge (LCC-19) being assisted by Ketchikan (YTB-795) and another tug, while docking at Sierra Pier, Naval Station Guam during Exercise TANDEM THRUST '99.